With such a long maintenance day, I did’nt really get to anything until Wednesday. It was kind of a mess Tuesday night. Really awful latency, 5fps, hard to do anything at all, lol. Thankfully, things sorted themselves out and the next day saw some frantic action. The downside: the fire mage and the shaman are struggleing atm. They’ll need a lot of love and luck to bounce back. Nokila, the baby warlock, hasn’t been out and about yet so she’s kind of up in the air. Olmer (BM hunter) lost his stat stick staff now 😦 , but seems to being doing well enough with the changes. Some other quick notations I’ve found. Guild XP, and personal xp with the guild. Both have been buffed up, so it seems. Instead of the personal 1-6 xp points for finishing quests, the average now is around 160xp! 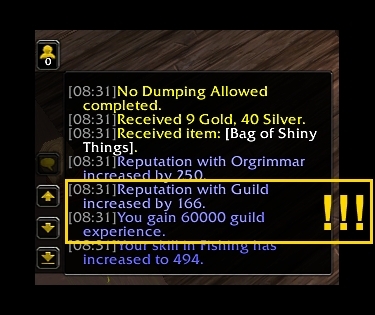 And the guild got some whopping 60,000xp ! Guild levels should go much quicker now. Archaeology: I remember the old days of it back when, what a grind it was. 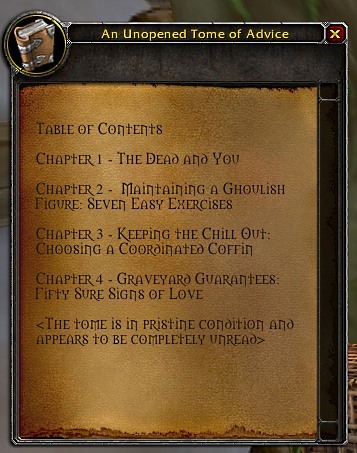 Things got better in Cata, thankfully. But Now? Aygaren did a bit to check it out. His experience: Six (6) digs at each site!!! The fragment counts for each dig site ran 40 – 45. 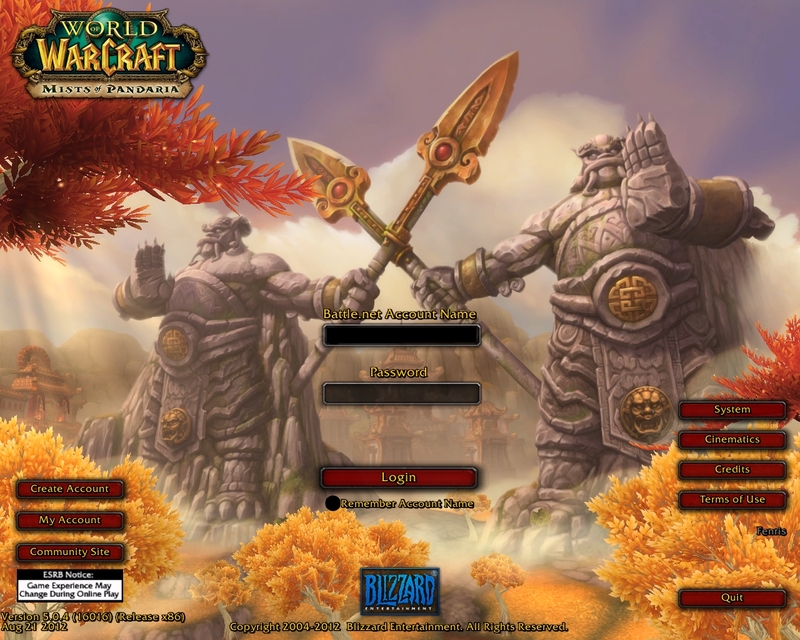 Now then, Aygaren was already capped out with his Archy, so I’ve still got to check it out on Thdoria. She’s been really lazy with it up ’til now so her level is significantly lower. I love the new quest panes. If the npc has several quests available, it keeps opening itself each time you accept one. No more constant clicking the poor NPC’s. 🙂 Then there’s the new AoE looting. HAPPY DAYS! Along with auto-loot, what a time saver. I’ll leave you with a few screenies now. I’m sure you’re just as busy and anxious to explore all the new stuffs this patch has gifted us with. Feel free to share some of your discoveries in the comments. 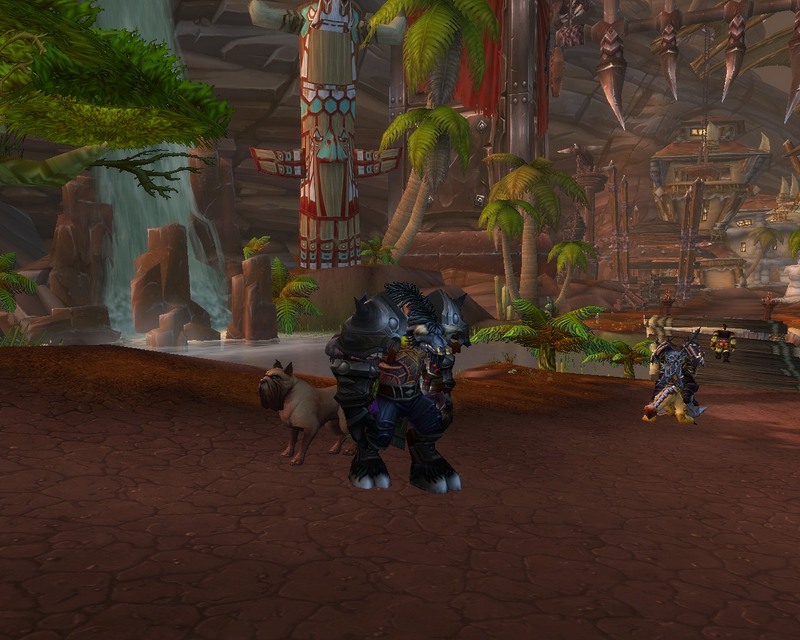 Ay just loves the colors of this mount. 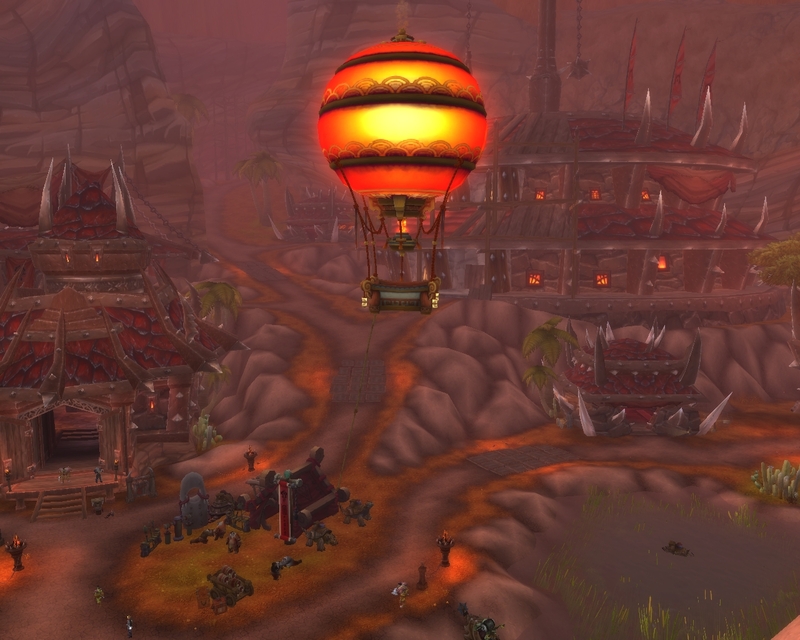 Panda’s have landed in Org! Got to love their ride! *found that one playing around with my world map buttons!! It’s been an exciting two days my friends. We, the Horde Crew, hope you’re having a great time of it as well. I’ll probably take some time over the next day or two just getting everyones’ talents sorted out. Check out the new surge in the AH prices, which always happens with large patch updates. Maybe Ay can make a gold or two along the way. 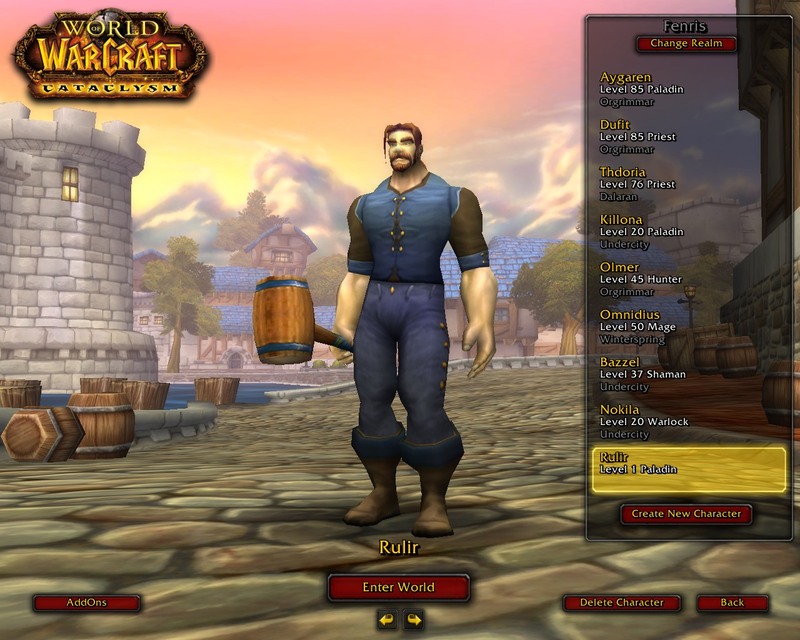 Aygaren and Dufit will be priorities, as they’ll need to be ready for the Theramore Event. 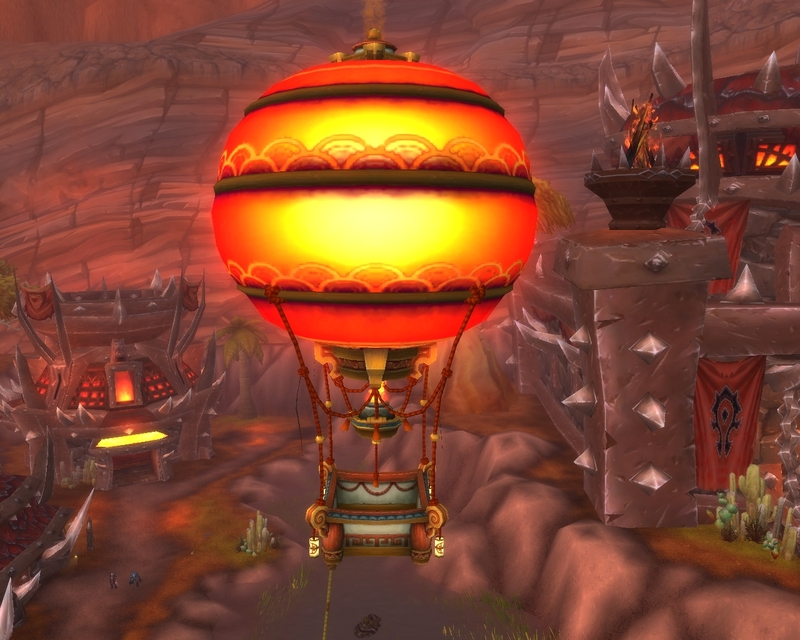 Yesterday, Aygaren did make some “last day” journeys in hopes of picking up a few things he still hasn’t obtained. It was a world-wide jaunt, bouncing from one to the next. Another last semi-camp out for the TLPD. No luck there. Mysterious Camel Figurine-still empty handed, and Lord Rivendare is just as stubborn as always. Deepholm…unforgiving. Anzu…beginning to strongly dislike that ol’ bird. A lot of travel time and nothing to show for it. Well, almost nothing. Ay did finally manage to get his dog whistle. To make things a little less bitter for the day, he did tranmog his large, ugly PvP shoulders in something a bit more pleasant to look at. He then proceeded to clean out his personal bank. A lot of things just had to go, like it or not. Came across this old book in there. He can’t even remember where he got it from. It was just odd enough though to qualify as a keeper, for now. Everyone else? Hmmm? Killona is resting up after her initial dungeon tanking experience. She had her hopes set high for it…….perhaps too high, considering the LFD reputation thing. The only other intelligent, cooperative group member, was the healer. Overall, she did a great job. Nokila the warlock, is more than ready to attempt dungeons as a dps’er. I hear she’s aquired a pair of earplugs and rose colored glasses. Thdoria has been camped out in Dalaran. Omnidius (fire mage) burned his way to level 50. Olmer, BM hunter is wandering through his 40’s. 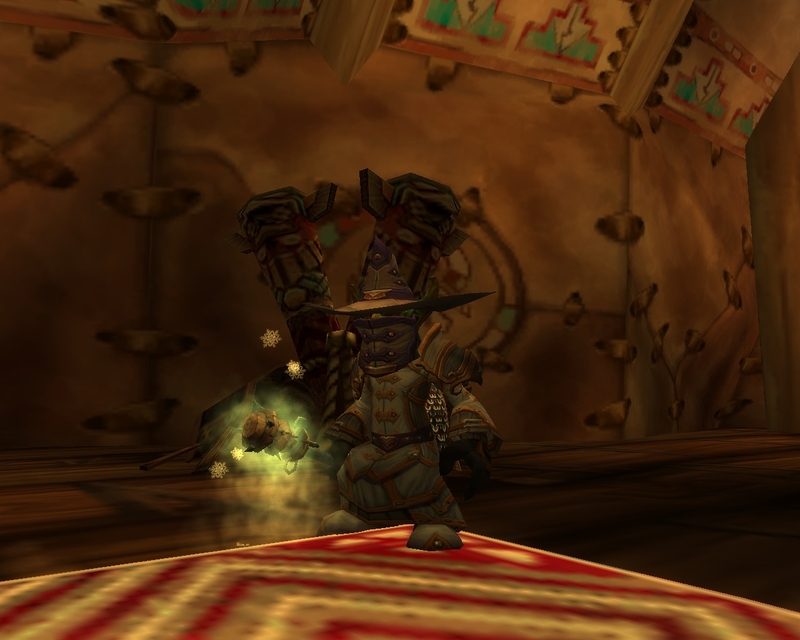 I think Bazzel (troll shaman) is off communing with spirits of some sort. And Freezia (frost mage), took leave of the team. To the surprise of many, her slot was filled with a Human paladin! I hear that the Horde crew wants to have a word with their key-masher. Enough random Tuesday stuffs for now. I’m sure everyone has been busy with updating their add-ons, hoping their UI isn’t too awful broken, and sifting through the new talent set-up. This post is just a mind-less break from all that. ROFL!!! Today was the, I repeat, THE big day for Killona. At level 15, she was ready to try tanking her first dungeon. 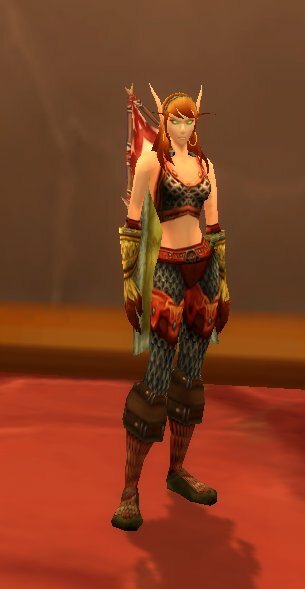 Her healer friend was level 15 as well, and ready to go! We decided for both our sakes to specifically choose Ragefire Chasm. Said to be the easiest of dungeons to start learning on. lol, and we were both fresh learners. Please note now: that I’ll be writing from my new tanks’ viewpoint. I’m pretty sure Anesthetica (healer friend), will be posting about her experiences from her viewpoint. I must apologize for not having any action screenshots this time around. We’ll just move on to the good, bad, and ugly of the Ragefire Chasm dungeon group. Killona had spent the night before making sure she had everything ready, and was in the best gear possible. Armed with both outside research, and a late night visual reminder run by Aygaren, she was ready to do this. She greeted her group with a friendly hello. While preparing to ask if there were any questions before the start, someone was already asking if we were going yet. Killona met her first “go-go-go” dps’er. Things kind of went downhill from there. To name a few: a warlock decided their voidwalker should be pulling the next mob while Killona was taking a brief look at which group was best to pull first. Next, there was the hunter who though it would go quicker if he fired on the mob first. Then there was a rogue who chose to run ahead and sap away, for whatever reason. The only time that worked out to the good was when he actually sapped one of the lower boss types and we were able to clear everything out first. But that was only one time, out of perhaps 20 random saps. BTW- after the first successful run, some folks wanted to do another run, and another, and….you get the point. We ended up doing a couple of random choices after that, but every-single-time, it was Ragefire Chasm to pop. We, (Anesthetica and I), went through an array of dps’ers. Now, the self part of this post. That cry for HELP! Just to help you out though, here’s a screenie of the numbers for all the runs combined. Remember though, recount runs the average totals. Not of these shown are single fights, or even single runs. The “Help” part? If there are any experienced tanks who happen to be reading today…. 1.) How do you deal with dps’ers who think they should tank? 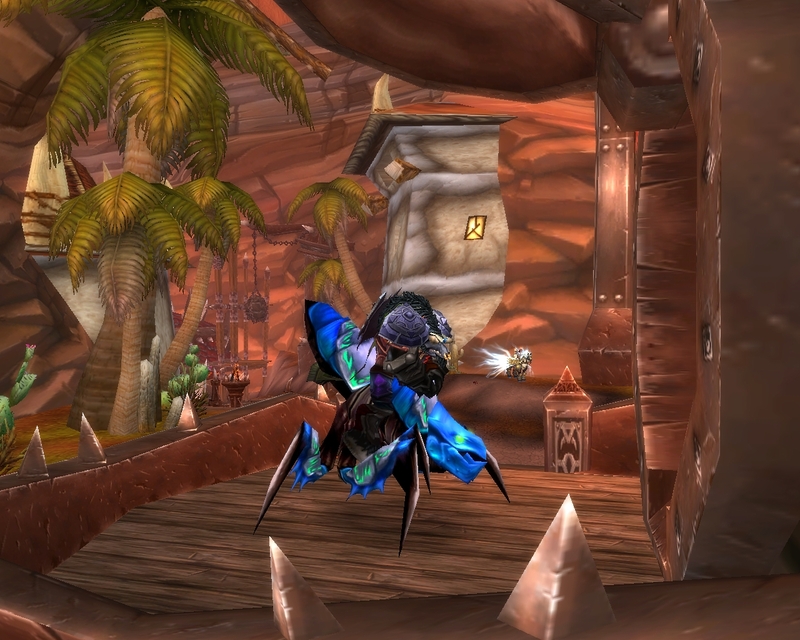 One of the problems I had was picking up wayward mobs, trying to pull them back to me instead of pounceing on a dps. Mobs were splitting up in several directions. 2.) Is there something better I could have done from the start to help ensure group cooperation? 3.) At level 15, I noticed that some of the dps’ers were level 17’s. They easily pulled aggro off of me. My toolbox atm isn’t much, though I did try to utilize every bit of it attempting to keep the mobs on me. I failed in this aspect, holding aggro, and it bothers me. lol, only once was I able to taunt a mob back off of one of them! 4.) We had dps’ers from many different realms, none from our own. Would it have been better to attempt a trade chat call from our own server? Okay, I’m sure I could go on second guessing myself over everything, but I’ll let your eyes rest for now. 🙂 I do have one overall great thing to mention though. For being brand new to healing, Anesthetica did one hell-of-a-good job! In spite of the many chaotic moments, she always had my back and managed to keep the wayward group alive as well. I really hope we can continue working/learning together.